Nimes and Bordeaux, the two teams who sit in the middle of the Ligue 1 standings, take on each other at Stade des Costieres on Matchday 33. 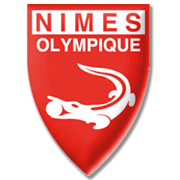 Nimes have been producing splendid performances at home ground of late, with the team recording four wins in previous six home fixtures in the French top flight. Les Crocodiles are likely to stick to their attacking style of play against Bordeaux and we believe that they are going to give fans yet another reason for celebration this weekend. Les Girondins experienced all sorts of problems at the back in a 3-0 loss to Saint-Etienne in their last league fixture, which is yet another reason why home win should be considered. In the first half of the season the two teams played out a thrilling 3-3 draw in Bordeaux and yet another high-scoring affair is on the horizon. Born in Avignon, France on November 28, 1994, Anthony Briancon is a defender who is a product of Nimes youth academy. His main position is centre-back, but the French footballer is used as a defensive midfielder as well. Briancon made his senior debut for Nimes in Ligue 2 on May 16, 2014 against Creteil, coming as a substitute for Pierre Bouby in the 54th minute of the match. The two teams shared the spoils (1-1) and it is important to note that Anthony Briancon has been playing for les crocodiles ever since. The French defender has a contract with Nimes which should expire on June 30, 2021. Briancon scored his first ever goal for les crocodiles in January 2016 in a thrilling 6-2 victory over Clermont. The 185-cm-tall defender played an important role in Nimes in the 2017/2018 season, scoring 3 goals in 37 appearances for the club in the process and, no doubt, he helped Bernard Blaquart’s team secure promotion to the French top flight. Founded in 1881, Bordeaux are regarded as one of the oldest clubs in France. Les Girondins won their first Ligue 1 trophy in 1950 and 59 years later (2008/2009) they lifted their sixth domestic trophy. Speaking of the club’s European success, Bordeaux did remarkably well to make it to the Champions League semi-finals in 1985, but despite recording a 2-0 win over star-studded Juventus in the return leg, the French club eventually failed to book their place in the final of the elite competition. Famous French footballers Alain Giresse and Jean Tigana were part of the team back then and it has to be noted that Giresse is the player who made the most appearances for les Girondins (587). During the nineties Zinedine Zidane, Christophe Dugarry and Bixente Lizarazu played for Bordeaux and, taking everything into account, it is no surprise they are considered one of the most famous French clubs. Nowadays Les Girondins welcome their rivals at Matmut Atlantique, the stadium which was opened in 2015 and they used to play at Stade Chaban-Delmas in the past.